A Life on Venus: Is this classic Gen Y? Is this classic Gen Y? According to Wikipedia (and no I didn't read the whole thing) Gen Y is a generation that can also be called "Generation Me". This is apparently based on surveys that showed increasing narcissism among Gen Y's compared to previous generations. Wikipedia also referenced them being called "Trophy Kids", a term that reflects the trend in competitive sports. So I have to ask - Is the shambles that is Sebastian Vettel and the recent Malaysian Grand Prix classic Gen Y? Mark Webber, 36 and Sebastian Vettel, 26 are team mates (for want of a better word in this instance) for Red Bull racing in this year's Formula 1 championship. In fact, they have been team mates for Red Bull for a while and this isn't their first run in with controversy regarding Vettel and his desire to be numero uno. Now we can skip to the recent Malaysian Grand Prix. Webber led for the majority of the race after starting fourth (or could have been fifth) on the grid. He drove well, pitted well and manoeuvred well. He was constant and worked hard to maintain the lead. However, Webber didn't win this particular race. He was overtaken in the dying laps by his "team mate". "So what!" I hear you say. 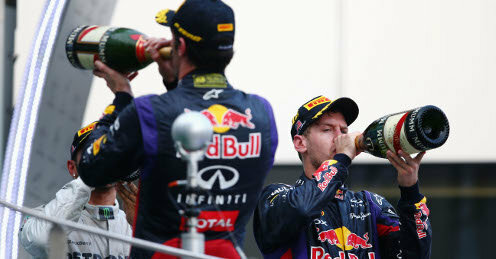 Well, Vettel was told by the team not to overtake Webber. You see in Formula 1, the team has everything to say about what you do on the track. According to Eyewitness News, Red Bull principal Christian Horner said, "We told the drivers to maintain position to the end of the race, look after the tyres. The biggest fear was running out of tyres. Sebastian took it into his own hands to (overtake)...he wanted to win that race. We know there is a bit of history between them....so it's one of those things and the type of thing we will sit down and talk about internally." It seems that Webber listened and looked after his tyres and Vettel scooted right past him. He will probably only receive a little rap over the knuckles for his bad manners - but if history is anything to go by this is the last we will hear of it from Red Bull. Do you think Vettel is classic Gen Y?